Ole Miss Mom: Most Successful Pinterest Recipe Yet! I don't normally post about food, but this was too good not to pass up!! And it was just meant to be made since the recipe popped up TWICE in my google reader yesterday! Once at La Buena Vida's blog and once in Skinnytaste's blog. Needless to say, I had to try it. And Lacey was coming over for dinner so I knew she'd be up for venturing out and trying a new recipe. The only thing is, we wanted to make it "light" and decided to make it vegetarian. Instead of sausage, we sauteed garlic, tomatos, onion, and 2 morning star veggie patties in the saucepan. 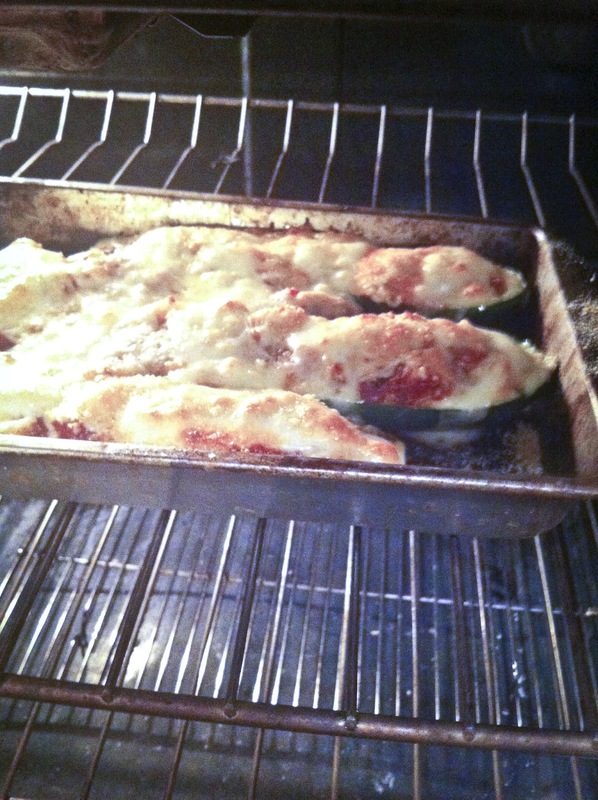 Filled the "boats" topped with light marinara and some cheese. THEY WERE SO GOOD!!! Hit the spot completely!!! To top it off, we picked some fresh figs earlier in the evening, and put on little goat cheese and wrapped them in prosciutto. 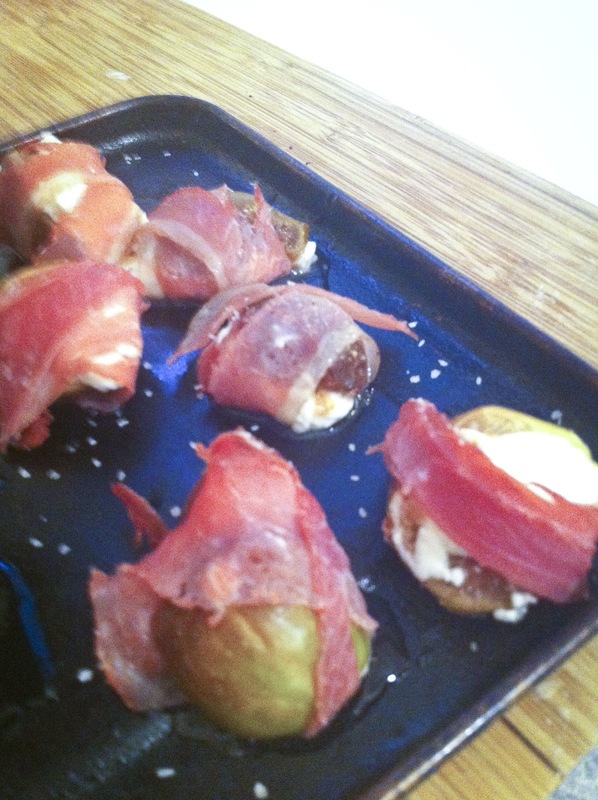 Toasted them a bit and the were DELICIOUS!! I wish my kids would eat these...maybe I will try and squeeze them in for a dinner one time. I was pleasantly surprised at how this pinterest recipe worked out and how versatile I could make these! I've had some that don't quite turn out like I thought they would! 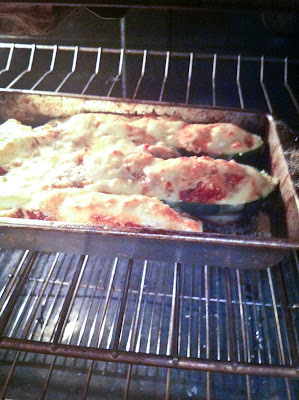 Go cook some zucchini boats today!!! Aren't they so easy?! And you're exactly right--totally versatile, which is good since I've got a TON of zucchini to use up! Also, I was actually really surprised that Lizzy ate all of hers with no problem!